The final communiqué of the London Conference clearly reflects the advocacy efforts of the Afghan women who traveled to London, and the document includes central priorities of the women of Afghanistan they were charged to represent. This accomplishment is recognized not only for the commitment of Afghan women, but also that of the Afghan government and its international partners to ensure that human rights must be at the heart of any efforts to seek a political solution to the conflict through negotiations and incentive packages directed to the Taliban. The women of Afghanistan endorse this provision and strongly recommend a rigorous monitoring system accompany any reintegration scheme to ensure women’s rights are not violated and that any such violation are aggressively and swiftly addressed as a national security concern. - The phased growth and expansion of the Afghan National Army and the Afghan National Police must be accompanied by efforts to ensure the security forces have the protection of women as one of their main functions. This can be enhanced through recruitment of more women in all security sectors, investment in Family Response Units, and training for the security forces and the justice sector on the Elimination of Violence Against Women Law. - The Government of Afghanistan’s commitment to continue development of a National Security Strategy must be consistent with UN Security Council resolutions 1325, 1820, 1888 and 1889. A National Action Plan on Women peace and security should be integrated as a core element of the national security policy, and a quota of women’s representation in all peace and security deliberations be established. - Women should be consulted by and represented by the authorities developing the national Peace and Reintegration Programme. The proposed Peace and Reintegration Trust Fund to finance the Afghan-led Peace and Reintegration Programme should ensure that a proportion of the financial incentives to communities to support reintegration are used to support women’s empowerment and development and the protection of their human rights through rigorous monitoring and redress. - A specific proportion of international donor assistance to be channeled through multi donor trust funds such as The Afghanistan Reconstruction Trust Fund and the Law and Order Trust Fund for Afghanistan should be devoted to addressing women’s specific needs in the areas of reconstruction, rule of law, and access to formal justice. - Women should be engaged in consultation to develop an overall plan for more effective and accountable national civilian institutions, including the civil service and the police. - The training for 12,000 sub-national civil servants at the sub national levels should include skills building in analyzing and responding to women’s development and security needs. Affirmative action policies should be developed to ensure a significant portion of sub-national-level civil servants are women. - The proposals for a new national policy on relations between the formal justice system and traditional dispute resolution councils must be treated as an opportunity to ensure that women’s constitutional rights are protected in any judicial or dispute resolution systems with an emphasize on investing funds on the formal justice system. - Women must be centrally involved in all anti-corruption efforts to ensure that the specific forms of corruption that afflict them are addressed. A clear agenda was established at the London Conference, including the announcement of an Af-Pak Peace Jirga, a Loya Peace Jirga, and the Kabul Conference. Each of these events provides opportunity for the Government of Afghanistan and its international partners to demonstrate the commitment articulated at the London Conference that reconciliation and reintegration will not take place at the expense of human rights and that women are central to bringing peace and stability to their country. Women must be fully represented at every stage of planning for these events and must be included at decision-making levels at the events themselves. In the months ahead, the Afghan Women’s Network will hold national consultations to prepare the women to participate and to be sure their perspectives are adequately represented in any decisions. We, the women of Afghanistan, are committed to working alongside the Government of Afghanistan and the international community to bring peace and prosperity to our beloved country and all of its people. We stand as full partners for the future of Afghanistan. We extend our deep gratitude to international supporters who made this opportunity possible for the women of Afghanistan, in particular the United Nations Development Fund for Women, the Initiative for Inclusive Security, BAAG and ACBAR. ابلاغیه نهایی کنفرانس لندن بصورت واضح توسط کوشش ها و دادخواهی زنان افغان که در کنفرانس لندن سفر نموده بودند و ضمن مدارک که شامل نگرانی های اساسی زنان افغان بود مطرح گردید. نتیجه کنفرانس لندن نه تنها زنان افغان بلکه دولت افغانستان و جامعهء جهانی متعهد هستند که هر گونه تغیرات سیاسی که در افغانستان با ذیدخل بودن طالبان در دولت صورت گیرد با وجود آن هم حقوق بشری باید حفظ گردد و همچنان حقوق بشر هر گونه تلاش های را در زمینه رفع معضلات سیاسی و درگیری ها در افغانستان از طریق مذاکرات و آتش بس مستقیماً با طالبان رفع نماید. زنان افغان این پیش نویس را شرط قرار داده و شدیداً یک سیستم نظارتی پیشنهاد نموده تا از برنامه ها و توطئه ها که حقوق زنان را نقض می نمایند نظارت نموده و برعلاوه هر گونه تخلف و متجاوزین باید سریعآ به عنوان یکی از نگرانی های ملی نشان داده شود. 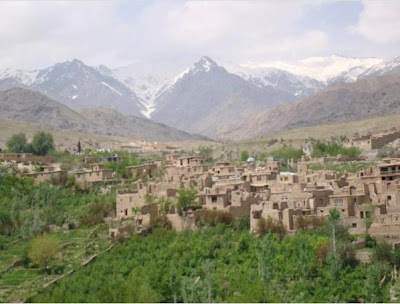 افزایش و پیشرفت نیروهای نظامی افغانستان و پولیس ملی افغانستان باید صورت گیرد و تلاش های در زمینه اجرا گردد تا نیرو های نظامی بتوانند حفاظت از زنان را در یکی از اساسات کاری شان بگنجانند. این موضوع میتواند با افزایش و استخدام تعداد بیشتر زنان در بخش های امنیتی، سرمایه گذاری در واحد های رسیده گی به قضایای فامیلی و آموزش نیرو های امنیتی و بخش عدلی در رابطه به قانون منع خشونت علیه زن صورت گیرد. تعهدات دولت افغانستان در ادامه انکشاف ستراتیژی ملی امنیتی در سازگاری با قطعنامه های شواری امنیت ملی 1325، 1820،1888 و 1889 باید صورت گیرد. ساختن پلان ملی برای زنان در رابطه به صلح و امینیت باید در اولویت ها به عنوان یکی از عنصر های پولیس امینیت ملی قرار گرفته و سهمیه نماینده گان زنان در تمام فرصت های صلح و امنیت ایجاد گردد. با زنان باید با ایجاد دوباره پروگرام صلح ملی مشورت صورت گیرد. پروگرام صلح ملی باید حمایه شود تا زنان بتوانند قدرتمند شوند تا از حقوق انسانی خود استفاده نمایند. زنان باید در مشوره ها برای انکشاف و موثریت هر چه بیشتر تمام پلان ها شامل بوده و قوانین مدنی ملی نیز در زمینه جوابگو باشند، به شمول خدمات ملکی و پولیس. برای 12،000 کارمندان ملکی ساحوی در تمام ساحات تریننگ در رابطه به ساختن مهارت های آنان در تجزیه موضوعات و پاسخگویی به انکشاف و نیازمندی های امنیتی زنان صورت گیرد. پالیسی های عملی که در زمینه انکشاف خدمات ملکی ساحوی که آنرا زنان تشکیل می دهند را تصدیق نماید. پروپوزل ها در رابطه پالیسی جدید در ارتباط به سیستم های عدلی رسمی و جرگه یا شورای اصلاحی به عنوان فرصتی مورد عمل قرار گیرد تا اینکه این جرگه ها را متقاعد بسازند تا حقوق اساسی زنان در هر گونه موضوعات قضایی و یا سیستم شورای اصلاحی با تاًکید به اینکه سرمایه گذاری بالای سیستم عدلی رسمی صورت گیرد. زنان باید در تمام پروسه های اساسی در از بین بردن فساد نقش اساسی داشته تا اینکه در تمام اشکال معین فساد که آنها را متضرر میسازد نشان داده شود. در کنفرانس لندن اجندا مشخص که شامل دایر کردن جرگه صلح، لوی و کنفرانس کابل در بهار 1389 تدویر می گردد. هر کدام از این رویداد ها فرصت را برای دولت افغانستان و همسایه های خارجی شان ایجاد میکند، تا تعهدات که در کنفرانس لندن نموده بودن را به اثبات برسانند که صلح و آشتی دوباره با هزینه های حقوق بشر صورت نمی گیرد و زنان افغان نقش اساسی را برای آوردن صلح پایدار در کشور شان دارند. زنان باید کاملاً در تمام مراحل این تصمیم گیری ها شامل شوند و همچنان زنان باید در مراحل تصمیم گیری های رویداد ها خودشان را شامل بسازند. در ماه آینده، شبکه زنان افغان جلسه مشورتی ملی را برای آماده ساختن نظریات و پیشنهادات زنان در رابطه با اشتراک فعال شان در این پروسه ها را آماده ساخته و در اختیار ملت از طریق مطبوعات قرار خواهد داد. یکی از مهمترین مطالبات زنان این است که نماینده شان در تصمیم گیری ها به سطح دولت و جامعهء جهانی برای آوردن صلح سهیم باشند. ما، زنان افغانستان، تعهد میکنیم تا در کنار دولت افغانستان و جامعهء جهانی برای آوردن صلح و کامیابی برای کشور محبوب ما و تمام مردم آن کار می کنیم. ما به عنوان همراهان آینده افغانستان ایستاده گی می کنیم. ما در ادامه از حامیان بین المللی آنهای که همچو فرصت ممکن را برای زنان افغان فراهم نمودند صمیمانه سپاسگزاری می کنیم، به خصوص از United Nations Development Fund for Women(UNIFEM) به ابتکار Inclusive Security, BAAG و نهاد ACBAR . 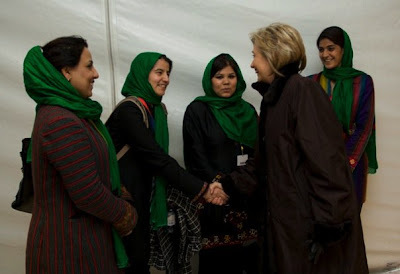 Secretary Clinton unveiled the U.S. plan to support women’s initiatives, outlined in the Women’s Action Plan for Afghanistan, at the London Conference on Afghanistan on January 28. The Plan includes initiatives focused on women’s security; women’s leadership in the public and private sectors; women’s access to judicial institutions, education, and health services; and women’s ability to take advantage of economic opportunities, especially in the agricultural sector. This is a comprehensive, forward-looking agenda that stands in stark contrast to the oppression and marginalization women face from Afghan insurgents. Women are key to every element of this agenda – from strengthening the economic sector, to promoting good governance, to energizing civil society, to sustaining peace and security. Progress is not possible if half a country’s population is left behind. Afghan women must not be viewed simply as victims who need to be sheltered. They must be respected and valued as leaders -- a reserve of talent that Afghan society needs to draw upon in order to prosper and succeed. 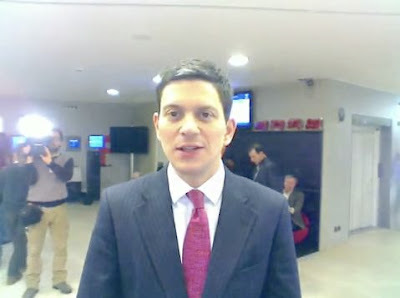 UK Minister David Milliband speaks at the Davos Debates on the London Conference and the importance of women as a central tenant to the political equation in Afghanistan. The women of Afghanistan articulated a serious concern that reconciliation with the Taliban would have a negative impact on women's rights in Afghanistan. The Afghan women arrived with BBC's Lyse Doucet and positioned themselves in the media tent. 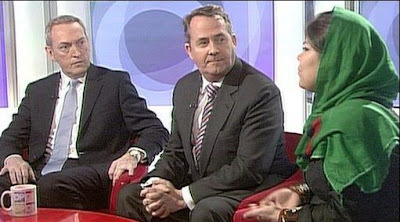 At the press conference, Miliband, Spanta, and Kai Eide answered their question/concern with a firm answer that the Taliban are only offered reconciliation on the basis that they agree to work with the Afghan Constitution, and the words written within it that guarantee women's rights and equal participation. We Demand: “the status of women [must] not [be] bargained away in any short-term effort to achieve stability”. While the only official woman delegate in the Afghan mission to the London Conference pleaded that women’s rights must not be sacrificed on the altar of security concerns, women’s rights activists who had also travelled to London brought their own message. At the conclusion of a gathering of nearly 70 countries and representatives of the international donor community in London on February 28, negotiations with the Taliban are firmly on the agenda, discussions revolving around the best way of achieving a peace settlement. Both President Karzai, in need of shoring up his shaky legitimacy, and the international powers, seeking an exit option from their costly military entanglement in Afghanistan, appear united on the principle if not the modalities of these negotiations. A two-pronged strategy of simultaneous military surge and meditation and talks for peace and a more inclusive political settlement are now on the table. What will the implications of these new directions be for ordinary men and women of Afghanistan? How will the interests of civil society - national and international - be represented in this process? What of human rights and, more specifically, women's rights to which the international community had made vocal commitments in the aftermath of the Bonn conference in 2001? These were some of the questions raised on January 26 at a conference titled “An Alternative View: Afghan Perspectives on Development and Security” which aimed “to ensure that the needs of the Afghan people remain forefront on the international community’s agenda”. Lakhdar Brahimi, former UN Special Representative to UNAMA (2001-2004) offered a candid critique of past errors; the lack of representativeness of the Bonn process in 2001, the failure to expand ISAF forces outside Kabul at a point in time when it could have made a real difference and UNAMA choosing to politely ignore the reality of Operation Enduring Freedom, a counter terrorism operation at cross-purposes with the objectives of state-building. The unresolved issue of transitional justice - the failure to bring the past perpetrators of war crimes to justice - hung heavily in the air. Had justice been traded for peace in the post-Bonn settlement, finally achieving neither justice nor peace? Could the same errors be repeated again? The increasing militarization of aid and its perverse consequences for effective, needs-based aid delivery dominated the concerns of civil society representatives. Why was it that the most insecure provinces, least able to absorb aid, received a disproportionate share of the resources while the poorest regions were being ignored? Did Provincial Reconstruction Teams (PRTs) imperil the work of civilian providers of aid through their connection with the military who are held accountable for the loss of civilian lives? Was aid increasingly being used as a tool of counter-insurgency? If so, does the assumption that aid contributes to peace building and counterinsurgency hold any water? The injection of aid can be shown, some argued, to have destabilizing effects when it provides incentives for noxious elites who have a stake in instability, undermining the goals of both counterinsurgency and development. Kai Eide, UN Special Representative to UNAMA warned that the current troop surge and larger military budgetary allocations would only accentuate what he called “the QIP impulse” - the tendency to pilfer money through so-called “quick impact projects” meant to win “hearts and minds”- and divert resources from bottom-up projects, conceived through proper consultation with the grass roots and geared to meeting people’s perceived needs. Civil society and the NGO community could play a critical role in meeting these needs, but could they be sheltered from pressures to pursue military objectives? Dr. Hazrat- Omar Zakhilwal, Minister of Finance and Chief Economic Advisor to the President, complained that only 20% of total aid (10% of which was earmarked for specific projects) was channelled through the government and that aid had not assisted the state-building process. However, alongside the mismanagement and ineffectiveness of international aid, grave concerns were also expressed over widespread corruption, nepotism and lack of accountability at all levels, an expensive and ineffective justice system biased against the most powerless, lack of security, lack of progress in governance reforms and limited success in socio-economic development. This resulted in high levels of distrust between the population and the government, feeding the existing tendency to look for local solutions to the provision of public goods such as justice and security. The possible social implications of the “reconciliation” process were uppermost in the minds of representatives of human rights and women’s rights organizations. Would compliance with international standard setting human rights instruments be upheld? What would the consequences for women’s rights be? Arezo Qanih, the only official woman delegate to the London Conference (in a 63-strong Afghan mission) made a plea that women’s rights should not to be sacrificed at the altar of security concerns. 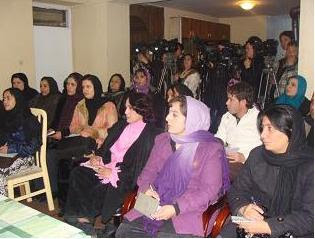 She invited the government and international community to honour their commitments to the goals of the Afghanistan National Development Strategy (ANDS), to develop a strategy for the implementation of the National Action Plan for the Women of Afghanistan (NAPWA) and to respect international agreements. Kabul MP, Shinkai Karokhail, chairperson of Afghan women parliamentarians, pointed out that the goal of accountable and sustainable development could not be attained without investing in women’s needs and addressing their concerns. In written statements, press conferences, presentations to Parliament and to the London Conference the group of women’s rights activists who travelled to London articulated their common platform. They explicitly asked that “the status of women is not bargained away in any short-term effort to achieve stability”. They also demanded that women constitute at least 25% of any peace process, including upcoming peace jirgas, in line with existing constitutional guarantees for women’s representation. 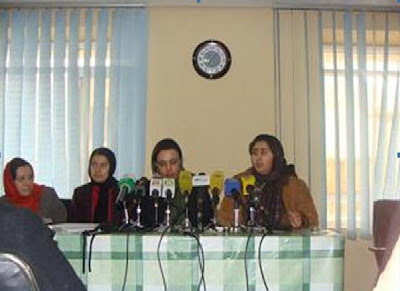 International donors and the government were held to account over the implementation of the National Action Plan for the Women of Afghanistan (NAPWA), the gender component of the Afghan National Development Strategy (ANDS), governance reforms for gender equality and the implementation of UN Security Council Resolution 1325- endeavours initially backed by international donors, now at risk of being sidelined and ignored. What are the prospects of these demands getting a hearing? BBC’s Today programme featured an interview on 27 January with one of the women’s rights activists from Afghanistan who expressed some of her concerns about the reconciliation process. She was asked whether she thought that abuses against women in Afghanistan had anything to do with the Taliban or whether they merely expressed aspects of Afghan culture. This apparently innocuous query has a depressing ring for many women’s rights activists who have seen their concerns systematically hijacked and their voices silenced for decades. When the mujahidin were in alliance with Western powers in the fight against the Soviet Union and in the subsequent period of civil war, their human rights abuses, including horrendous instances of gender-based violence, were largely passed over in silence. 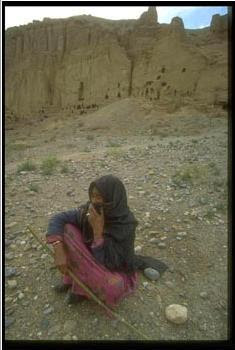 Yet these were the conditions that eventually paved the way for the Taliban victory and take-over. 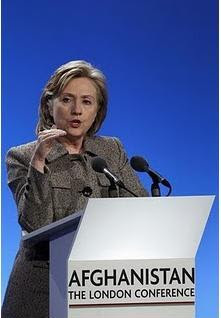 When Operation Enduring Freedom was launched in the aftermath of the September 11, 2001 attacks, the plight of women in Afghanistan was invoked as a humanitarian crisis justifying military intervention. Not only were the Taliban demonized, but a donor-funded infrastructure of mechanisms and institutions was put in place to secure gender justice and equality. It was clear from the start that the political buy-in for these measures was shallow - the passage of the Shi'i Personal Status Code through Parliament amply illustrates this point - and that the constituencies rallying around these policies had a very weak hand to play and were at constant risk of intimidation and retribution. Will the women of Afghanistan now have to brace themselves to hear Western powers inviting them to find virtue in their culture in the shape of new policies more acceptable to negotiating partners in the reconciliation process? Or will international donors merely treat their earlier commitments as misguided policies that are best forgotten? As a critic of the ways in which some of these policies were implemented, I nonetheless believe that the international community should accept responsibility for their consequences. 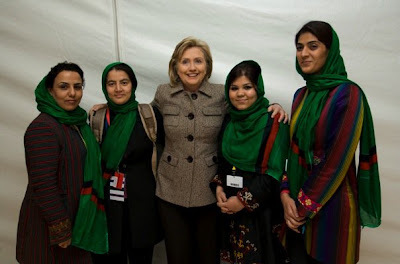 The women of Afghanistan, of whatever political persuasion, are entitled to their own voices. This they continue to be denied. The Afghan people are not asking for a quick exit strategy. Good governance and poverty eradication through a framework of inclusion and human rights - a sustained long term strategy for Afghanistan.